A business model in which a distributor network is needed to build the business. Usually such businesss are also multilevel marketing in nature in that payouts occur at more than one level. Network marketing is a type of business opportunity that is very popular with people looking on part time, flexible businesses. Some of the best known companies in America, including Avon, Mary Kay Cosmetics and Tupperware, fall under the network marketing umbrella. Network marketing programs features a low upfront investment-usually only a few hundred dollars for the purchase of a product sample kit and the opportunity to sell a product line directly or friend, family and other personal contacts. Most network marketing program also ask participants to recruit other sales representatives. The recruits constitute a rep’s “down-line” and their sales generate income for those above them in the program. Things cant get sticky when a network marketing compensates participants primarily for recruiting others rather than for selling the company’s product or services. A network marketing system in which most of the revenue comes from recruitment may be considered an illegal pyramid scheme. Network marketing involves the direct sales of products to consumers. While network marketers don’t need a specified amount of education, individuals interested in network marketing can take advantage of degree programs, marketing and sales management. Network marketing also known as multi level marketing (MLM), is a direct selling method that uses a network of people to sell a product. According to the IRS, network marketers earn money either directly selling products themselves or by recruiting others to sell products for them. those persons in turn recruit others to sell the same product. And so on and so forth, until there is a hierarchy of distributors selling and promoting the products, hence the term multi-level marketing. Each distributors is essentially an independent business owner, or more accurately put, an independent sales representatives. Each representative gets paid for sales he or she makes, as well as sales made by each person he or she recruited. Network marketers often earn bonuses for acquiring new distributors and customers and residual income on repeat business. Although there are no specific educational requirement for direct sellers, individuals interested in network marketing may find it beneficial to take advantage of one of the selling and sales management degree programs available in the United States. Some general course topics include professional selling, marketing, prospecting, sales motivation, consumer behavior, customer relations and sales management. Network marketers may also find a degree in marketing or business administration very useful. A degree program in marketing helps student understand the consumer market and the factors that influence consumer-purchasing decisions. A degree in business administration prepares student to plan and direct the everyday operations of small business and large corporations. A degree in business administration with a concentration in marketing may also prove helpful. Student learn the fundamental principles of marketing and selling, as well as how to run a business. Some general course topics include advertising, sales, eCommerce, marketing management, marketing research, finance, accounting, human resources management and business ethics. There are many types of network marketing including two tier programs and multi-level marketing, but many of the more solid marketing companies, like Avon are single tier. 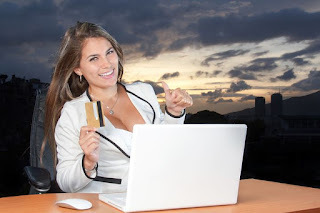 You sign up with an affiliate program to sell their product or service. You do not need to recruit other distributors and are only paid if you make a direct sales. Avon, is a company that uses single-tier networking marketing. In some online affiliate programs you are only paid for traffic you have referred to the affiliate’s website. Pay-per-click (PPC) and pay-per-lead (PPL) affiliate programs are other examples of single tier networking . This term applies to network marketing that pays you for direct sales (or traffic you refer to a website) and for direct sales or referred traffic made by affiliates or distributors you recruit to work under you. An example of a two-tier program is Ken Envoy’s Site sell. Multi-Level Marketing (MLM) is a distribution based marketing network that is two or more tiers “deep”. Some MLM programs allow you to make money five or more tiers deep. Example of MLM businesses include the Trump Network Magnetic Sponsoring, and Amway.